EDITORIAL NOTE: What follows is taken from the prepared remarks of Marshall Phelps, which will be delivered today at the NAPP annual meeting in San Jose, California. I’ve been asked to discuss where we are today concerning the intertwined topics of innovation and patent policy. I do so as a long time observer, not as a patent lawyer for which, due to my undergraduate specialties, I am totally unqualified. Rather, I approach the topics from the perspective of someone who has run perhaps the two largest IP operations in the U.S. if not the world. So let me begin with my view of the problems we currently face, which I will follow with a view of some recommendations. After that, I hope we will have the opportunity to get to some questions. XEROX, the Japanese copier industry. It is no accident that the worldwide computer and telecom industries closely matched the U.S. In the case of XEROX, that particular decision arguably destroyed U.S. leadership of the copier industry and took with it a good portion to the economy of Rochester, N.Y.
Today, the U.S. Patent System is underrated, under reported (at least in the mainstream media), underestimated, often disrespected and certainly undervalued! 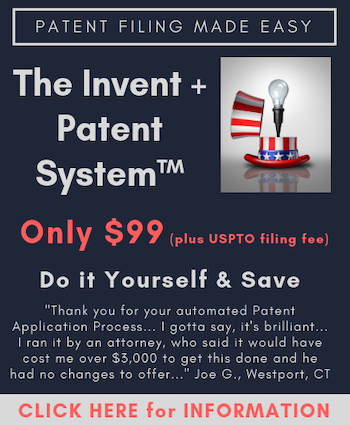 The “America Invents Act”, an attempt at patent reform that has become distorted and engorged over time in my opinion, ultimately created what BusinessWeek has called a “patent death Squad.” [PTAB], The Patent Trial and Appeal Board, invalidates about 75-90% of patent claims that come before it for review, often using different validity standards than the courts. And under the rubric of “fighting patent trolls,” government and Courts have so emasculated IP rights that startup businesses are experiencing difficulties getting funding and new business starts are at a low ebb. This is especially so in fields like biotech that depend almost entirely on patents to attract investment capital. Now I, for one, do not want to undercut any view that the troll concern was not real. And, while hindsight is perfect, I can assure all here that it was of great concern to those of us running large IP shops. Imagine the thought that someone without any vulnerability, could shut down an entire product announcement via an injunction from a plaintiff friendly jurisdiction that seemed to have turned patent litigation into a local cottage industry. Imagine further a CEO saying to you “you better not let that happen to us!” Well it did happen to me-well before Peter Detkin came up with the patent troll moniker. But the history of patents in this country shows that over correction is perhaps the norm. I believe that is where we are today. Certainly it can be well argued that the troll debate has captivated the PTO, parts of Congress and perhaps even the Supreme Court. Theories such as revenue stacking, a litigation crisis, tax on innovation, patent hold-ups, patent thickets are wrapped up in the troll problem that needed to be addressed by the comprehensive legislation- AIA- in the thinking at the time. But time has offered a different perspective. Obviously strong words and one need not agree with all its points to acknowledge something may well be amiss. But I for one do believe the current situation is damaging to our competitiveness. Why? Because for over 150 years, literally every major new job creating global industry-from automobiles and aircraft to semiconductors, PCs’, software, biotech and internet e-commerce-was supported by an American startup on the basis of a patented invention. Put simply, America’s formula for economic success has always been STARTUPS + PATENTS = JOB CREATION AND ECONOMIC GROWTH. The current malaise was not always thus! As Mark Twain, who opined on just about everything, noted in his Connecticut Yankee in King Arthur’s Court “A country without a Patent Office and GOOD patent laws was just a crab, and couldn’t travel any way but sideways or backwards.” This is certainly a sentiment in concert with that of our founding fathers. Today, most Americans don’t realize how vital the patent system is to their standard of living. But the founding fathers certainly did. That’s why they very consciously set out to construct the world’s first DEMOCRATIZED patent system that would do what no other patent system in the world had done before; stimulate the inventive genius of the common man. They did this by enshrining for the first time anywhere in a nation’s fundamental law-in our case Article One of the Constitution-the obligation of government to “promote the progress of science and the useful arts,” by securing for limited times to authors and inventors the exclusive right to their respective writings and discoveries. Until then, patents had always been a “favor” granted by the state or the monarch. Now they were a mandate! But the real genius of the founders in creating the conditions for future American greatness lay in the way they enabled this right to manifest itself in the everyday life of ordinary citizens. Their deeply felt democratic ideas (hard to imagine in our cynical age) led them to consciously reject the elitism of the British patent system, which charged exorbitant fees equal to 10 times the annual per capita income of its citizens. Instead, they reduced U.S. patent fees to a level even ordinary workers and farmers could afford. They also greatly simplified administrative procedures for applying for a patent. And by other means as well, including allowing patent applicants to apply for their patent postage free-a big deal when you consider saddlebags and horseback. Ultimately, they created a patent system that encouraged innovation on a truly mass scale. The results were dramatic. As Jefferson would later note, the new American patent system has “given a spring to invention beyond my conception.” In fact, only 13 years after passage of the first patent law in 1790, the United States had already surpassed Britain, (until then the undisputed leader of the industrial revolution), in the number of new inventions patented, albeit Britain’s population was three times that of the United States. By 1860, the number of new inventions patented in the United States was over seven times the number in Britain, although the populations were then roughly equal. The principal reason for this dramatic surge in American innovation was that by design the American system enabled and encouraged a much broader array of creative individuals to take part in inventive activity than was ever the case in Britain or the Old World. Whereas most of Britain’s inventors came from privileged backgrounds (they could afford it!) the vast majority of American inventors came from humble stock; they were farmers, factory workers, carpenters and artisans for the most part. And they were largely uneducated. Half had little or no formal schooling. And many of the most famous names in American invention E.G. Matthias Baldwin (locomotive), George Eastman (roll film), Elias Howe (sewing machine), and Thomas Edison (electric light and the phonograph), left school early to support their families. What’s interesting here is that our system did not simply encourage ordinary folks to participate, it made it economically feasible to do so. By granting large numbers of inventors secure property rights to their discoveries, the U.S. system enabled those inventors to license their patents, generate income, and in so doing make a full time career in innovation. This, of course, generated more invention and innovation. Our democratized system, more than any supposed genetic predisposition to “Yankee Ingenuity” among our population, is precisely what enabled America to become the most technologically advanced nation in the world and the economic powerhouse we are today. In the endless debates about the patent system, its importance and how to amend it for the times we live in, it would be good to remember its history lest we lurch away from some of the basics that got us here. So, it seems to me that the patent system is poised, yet again, for change brought on by any number of factors: the rise of the troll and the attempts to deal with that, the litigation situation, the changes in the patent law itself moving challenges away from the courts to the PTAB and, of course, renewed interest of the patent system on the part of the courts, especially SCOTUS. What’s different this time it seems to me, is a nascent but growing discussion of the fundamentals. E.G. Have we moved too far away from viewing patents as a basic property right? Should there be limits on the PTAB? Should PTAB follow the same legal rules and validity standards as the courts, etc. But as this debate rolls on, we should feel good about a few things. The patent system has been through this before. And it has proved to be an amazingly resilient philosophy and entity! (see Mark Lemley’s November 2016 article in the Texas Law Review for a detailed discussion of this topic). Thus, I would call for patience, because I believe history has shown that the system self-corrects and will likely do so again. But in our zeal for the perfect system, remember, the perfect is the enemy of the good. So be careful what you wish for. You have to give money to the Latte and the like if you want to help rebuild the patent system. Their votes are purchased. Lemley? He is going to be a principal amicus against Oil States and in favor of IPR. Citing Lemley as some sort of Joan of Arc, rescuing a beaten patent system from total oblivion is like hiring Der Fuhrer to help with Jewish refugees. Great historical perspective. Spot on macro view from someone with tremendous front lines tech experience, who also respects America’s grass roots inventors. I nominate Marshall Phelps to be the next Director of the USPTO. Actually, part of Mark Lemley’s speech about the patent system will survive involves showing the number of patents filed where he includes foreign filings and lies by saying that the weakening of the patent system has not affected filings. What this snake is doing is trying to quell the alarm sounds so he can finish sinking the ship. He is a highly unethical person. You know, there is no debate with Lemley. He lies. He makes up statistics. He publishes whatever he wants in joke law journal articles. He presents himself as an academic on the radio and lies and misrepresents. And, there is no recourse against him. Stanford doesn’t care as long as they get their fame and money. Law journals are a joke. I would welcome a debate with Lemley. I could have a presentation of Lemley’s misconduct and he could try to explain it. But, just consider, that Lemley knows that foreign filings are way up and presented a chart without normalizing the chart and using it to support his hypothesis that the weakening of the patent system had not affect US filings of patent applications. Open deceit. And, he did it like he was operating in his role as an academic. I do have to question your ability to understand patent law if you haven’t figured out that Lemley is a highly unethical person that is intent on burning down the patent system. Another you need to realize about people like Lemley is that he is rightly classified as a propagandist. There is no chance of ever filing an ethics complaint against him as Stanford doesn’t care. He never engages in real debate on any issue. He is a propagandist with no ethical constraints. Ummm…if that is a response in some way to what I wrote above….thought I nominated Marshall Phelps, not Mark Lemley. If I’ve misunderstood in any way, or the comments directed elsewhere, my sincere apologies. @7 My comments were directed to Marshall Phelps. They say that the best lies have a kernel of truth. Here, buried under massive amounts of spin, are many kernels. But make no mistake – the spin is excessive, and touches upon every conclusion, every view, and perhaps even the selection of the kernels themselves – leastwise the vast reliance on known anti-patent pundits that tag along with each kernel. It would be an interesting project to take the paper and filter away all of the Lemley views and see what remains. Then, it would be even more interesting to take those items that perhaps “both sides” could agree upon, and build a different view, one based on a positive view of patents, or at least an appreciation of why we have patents. @9 by far the best solution is to exclude Lemley from any part of the discourse due to his unethical conduct and poor character. Just tell us what are they going to do with EBay (and at least half a dozen other patent system-killing Scotus decisions) ??? Mr. Phelps seems to not understand that patent is supposed to cover true invention – new, useful, unobvious, completely enabled in patent specification etc. American patent law will not go away. I am not concerned about that. Patent law is resilient: look at the EPO that brings together ancient English, French and Italian patent law. But I would not say that in Europe “STARTUPS + PATENTS = JOB CREATION AND ECONOMIC GROWTH.” That is an American thing, which is slipping through out fingers at an incredible rate. It is the result of a systematic pro “established companies” narrative that is being inserted into discussions about IP law for decades. If you have time, read: A Patent System for the 21st Century, (it says,” a consensus study report”, no kidding) published in 2004 by the National Academies of Sciences. The IPR is right in there, as well as the narrative that patents may hinder innovation. The American patent system will stabilize, and thrive, but with the independent inventors looking from the outside in, I’m afraid, all under the guise of “Patent Quality” to make it a system for “deserving” institutions and companies. why all the bs ?? That corporate lawyer dude did everything he could to make us patent system into what it is and now he has audacity to complain about the end result ??? what don’t you just shut up and watch the destruction from your comfy retirement place ? “WE HAVE among us men of great genius, apt to invent and discover ingenious devices; and in view of the grandeur and virtue of our City, more such men come to us from divers parts. Now if provision were made for the works and devices discovered by such persons, so that others who may see them could not build them and take the inventor’s honor away, more men would then apply their genius, would discover, and would build devices of great utility and benefit to our Commonwealth. One of the problems with any postgrant reexamination or inter partes review or the like is that they are expensive, pricing the patent system out of the reach of all but the “elite,” as Mr. Phelps would put it. If a small fry contacts anyone about taking a license under his or her patent today, they may be subjected to either a reexamination or an IPR. That is quite unreasonable and intimidating. Elite accused infringers have a complete and adequate defense in a court of law. However, if there is a pattern of abuse by the patent owner, such as sending demand letters to small entities that cannot effectively defend themselves, the government should be able to file suit against the patent owner seeking a declaration of invalidity and unenforceability, and perhaps, fines. Finally, if there are court rules problems that favor plaintiffs, you know what I mean, these need to be addressed by supervising courts — such rules seem to violated due process.